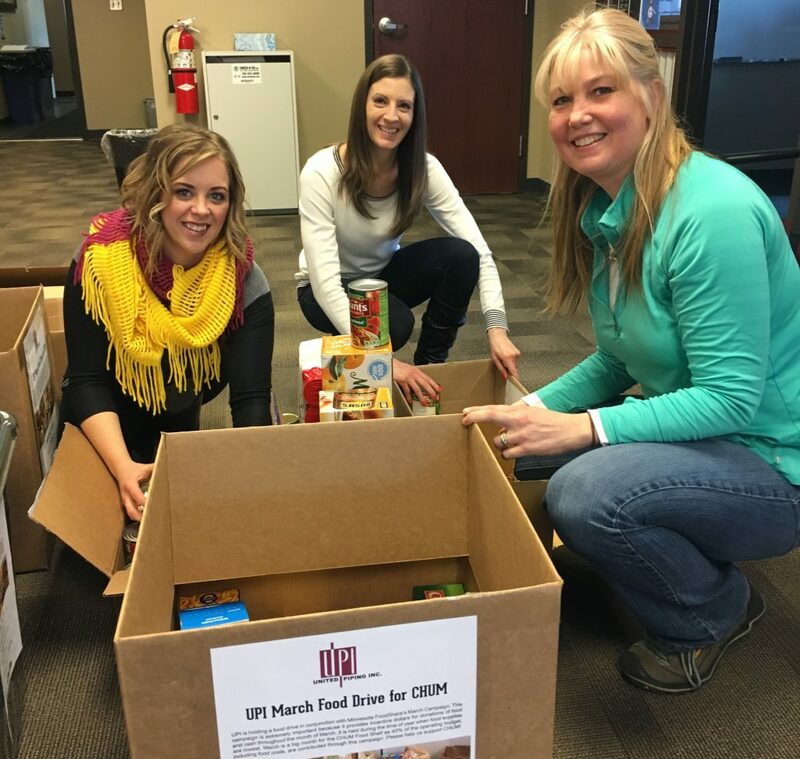 UPI held another food drive for CHUM’s food shelf in March, in conjunction with Minnesota FoodShare’s March Campaign. This campaign is extremely important because it provides incentive dollars for donations of food and cash throughout the month of March. It is held during the time of year when food supplies are lowest. March is a big month for the CHUM Food Shelf as forty-five percent of the operating budget, including food costs, are contributed through this campaign. Thank you for your help to reduce hunger in our region this spring and demonstrate UPI caring in our communities. Through this drive we collected $825 and 3 large boxes of food. 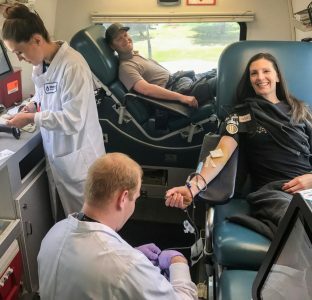 We continue to hold our quarterly blood drive, and keep giving lifesaving donations to local hospitals. Through our first two drives we were able to donate enough pints of blood to help save up to 144 lives! Many thanks to those who continue to donate. Watch for more information on our Q3 drive coming soon! 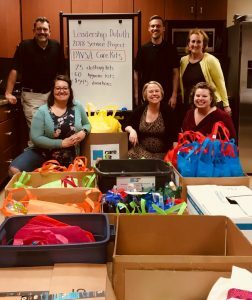 UPI partnered with the Duluth Chamber’s 2018 Leadership Duluth class to provide emergency supply kits to local survivors of sexual Assault. In coordination with Sexual Assault Awareness month in April, the Leadership Duluth service project held a city-wide drive for monetary and item donations. At the close of the drive, the team, and several volunteers from UPI got together and created Care Kits for PAVSA to distribute to local hospitals to provide survivors with necessary emergency items. Together, we were able to give them $545, 75 clothing kits (valued at $1950), 60 hygiene kits (valued at $600), and hundreds of additional items for their Care Kit inventory!